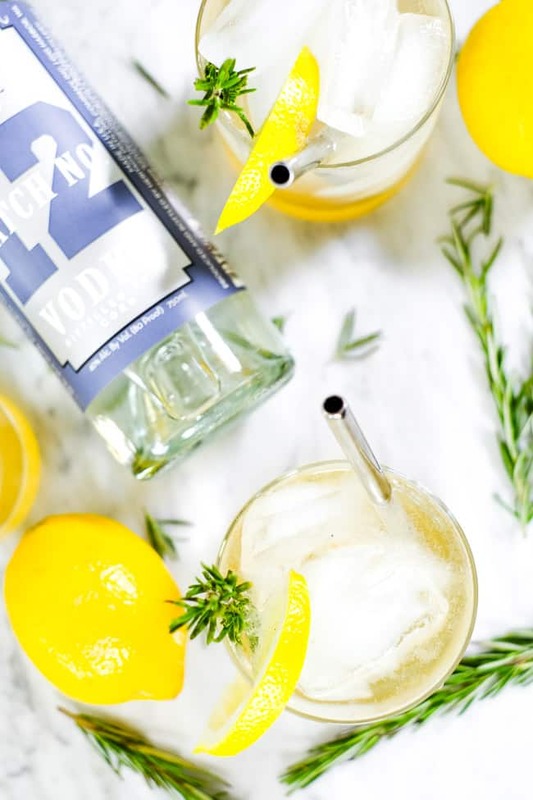 This Lemon & Rosemary Cocktail features an infused rosemary simple syrup made with raw honey. 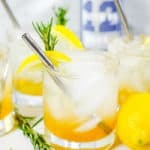 It’s a light and refreshing summer cocktail that’s easy to make and full of delicious natural rosemary and lemon flavor. 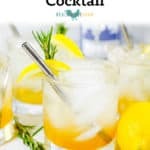 Aromatic sprigs of rosemary blend perfectly with vodka and fresh lemon juice making this a beautiful and delightful tasting cocktail recipe! Disclaimer: We partnered with Heritage Distilling Company to bring you this post. We only work with companies and brands we truly believe in and use ourselves. 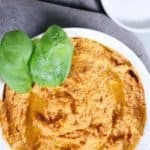 Therefore, all opinions and recipes are entirely our own. Thank you for supporting Real Simple Good and our partners. The end of Summer is kind of amazing and terrible all at the same time…you know what I mean, right?! 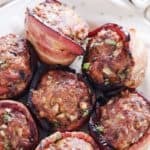 Like the weather is beautiful, and there’s still time to squeeze in just one or two more barbecues. However, every day that passes means it is one day closer to Fall, which means it is one day closer to Winter, which means we will likely soon be holed up in our house while the snow piles up outside and I am sooooo not ready for that. BUT first….the beginning of football season commences! 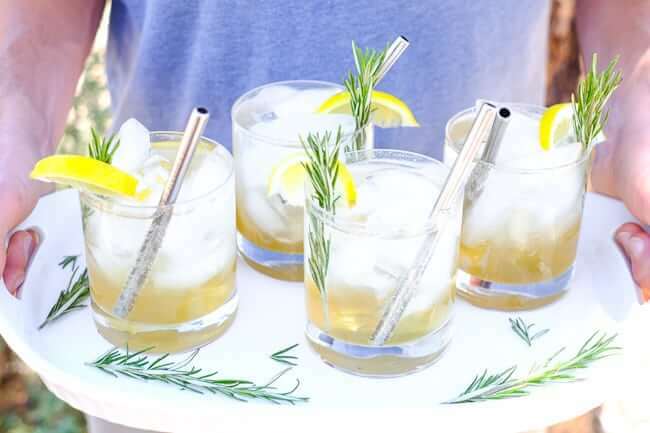 And for that, we celebrate with a yummy lemon & rosemary cocktail that is honey sweetened and flavored with fresh lemon juice and rosemary. Before Justin and I started dating, I was admittedly not a football fan. Just sayin’ and figured I should get that out of the way. Once we started dating though, and I realized that football season is one of the very few things that Justin actually gets truly excited about, I quickly got on board! 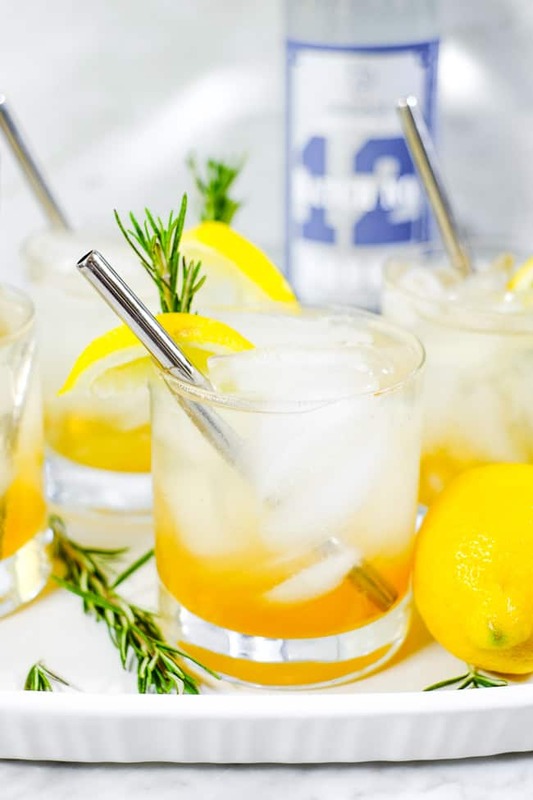 So whether you are gearing up for your first tailgater of the year or hosting a game day party, make sure you add this lemon & rosemary cocktail to your menu! 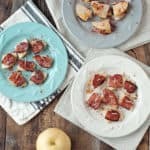 It’s tasty, refreshing and a much healthier cocktail option! To clean up this lemon & rosemary cocktail, we made it refined sugar-free by making our simple syrup with local raw honey. Honey is a natural sweetener and our preferred sweetener of choice for adult beverages. 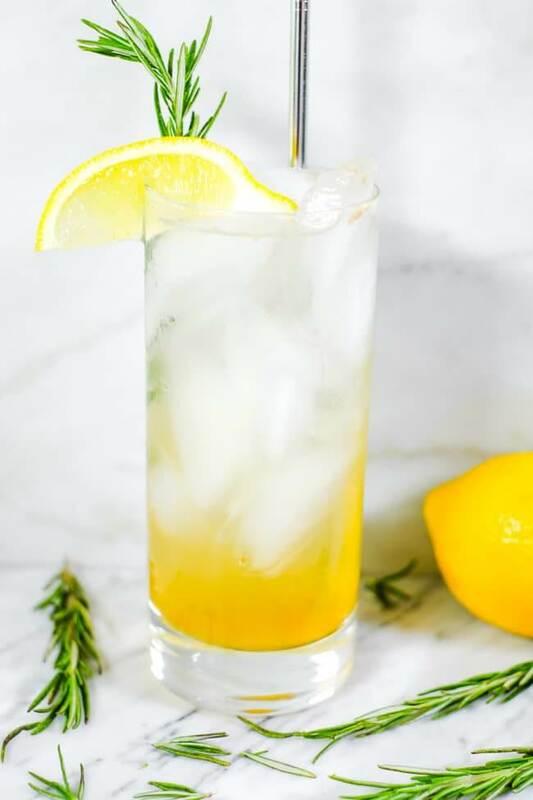 The combination of rosemary and lemon is crisp and refreshing and with a hint of honey, it’s the perfect savory, sweet drink to sip on while you watch your favorite sport! We used Heritage Distilling Company Batch No. 12 Vodka for this beverage because it’s super smooth, clean and we love how they craft their spirits in small batches by hand. You might notice that this vodka is distilled from corn rather than potatoes as many other vodkas are. I know…you’re thinking that corn is a grain and that isn’t 100% Paleo. You’re right, and that’s ok. Sometimes you just have to live a little and indulge. For me, I don’t digest potatoes well, so this corn distilled vodka is actually a better option! I appreciate the quality standards Heritage Distilling puts into every batch. They are majority owned by women and family operated. As a Craft Distillery they manage the entire process of making their spirits by hand – from identifying and working directly with the farmers growing their grains, to ensuring the purity of their water source, to milling the grain, making their own mash and wort and running their own custom made stills. If you’re looking for a quality vodka (or any of their other spirits), Heritage Distilling is a superior option. We love that they are a local Pacific Northwest company, too! 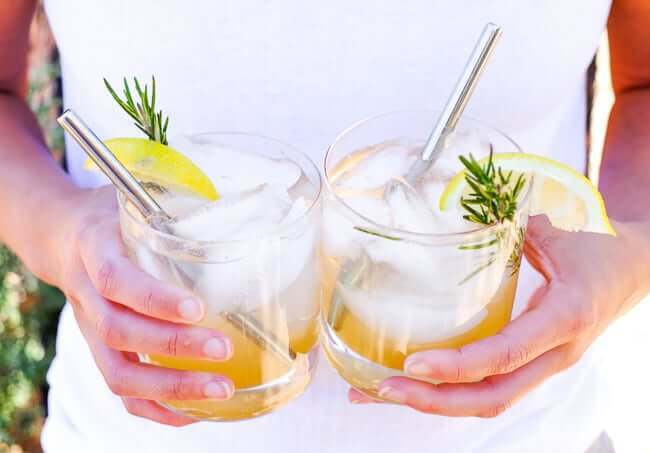 The start of football season is right around the corner, and whether you are going to be tailgating or watching from home, this lemon & rosemary cocktail is the best way to transition from Summer to Fall! Leave a comment below and let us know how it goes. Also, take a pic and share. Tag us on Instagram @realsimplegood, and give us a follow too if you don’t already! 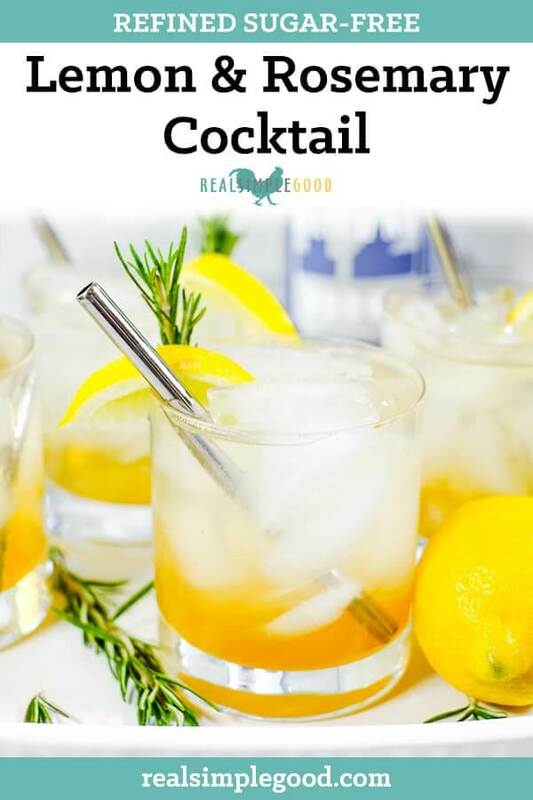 This Lemon & Rosemary Cocktail features an infused rosemary simple syrup made with raw honey. 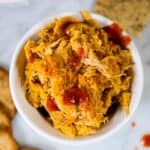 It's a light and refreshing summer cocktail! To make the rosemary infused simple syrup, add the water and honey to a small pan. Bring to a boil, stirring in the honey to mix with the water. Once the water reaches a boil, turn it down to simmer at a low boil and add the rosemary sprigs. Boil at a low boil for 10-15 minutes. Remove from heat and let the rosemary steep for 30 minutes. Remove rosemary sprigs and pour the simple syrup over a mesh strainer into a jar or container. 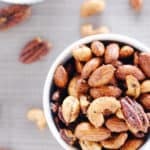 Refrigerate until ready to use and shake prior to use. To make your cocktail, fill a 12 or 16 oz cup with ice. Add in 2 oz of vodka and 1-2 tbsp of the infused simple syrup. Start with a little syrup and taste and add more as needed to reach desired taste. Top with soda water, squeeze a lime wedge in and stir. 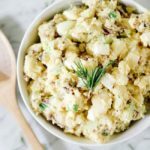 Serve with an additional sprig of rosemary and lemon wedge for garnish. Enjoy! NOTE: The recipe will make enough infused simple syrup for 6-8 cocktails. However, the cocktail ingredient amounts in the recipe for the cocktail are for one cocktail only.